In the UK, men make three times as many trips by bike as women, and cover four times as many miles on two wheels. But if cycling is going to become a normal mode of transport, then more women need to feel safe and comfortable hopping on a bike in their day to day life. We talk to two cyclists, Beth Barrett of Lady Pedal Manchester and Macarena Plaza Helguero, a London-based architect, to find out what the barriers are to women's cycling and how we can overcome them for the good of our cities. Currently in the UK, men make three times as many bike trips as women, and cover four times as many miles on two wheels as women. Many researchers have tried to unpick why this is the case, and suggestions range from society’s expectations of what women should wear in cities, to how the lack of safe cycling infrastructure can disproportionately deter women from cycling, vs their male counterparts. However, the bicycle has played a significant role in the history of women’s emancipation and freedom, and should be reclaimed and celebrated by women in the 21st century. In the UK, the suffragette movement was propelled by two wheels: Rose Lamartine Yates was the first woman ever elected to the Cyclists’ Touring Club in 1907, long before women had the parliamentary right to vote. She was Oxford educated but unable to obtain a degree because of her gender. It wasn’t long before Rose was actively engaged in the suffragette movement: she was arrested for protesting, and began attracting large crowds to her speeches in Hyde Park. She was often found on bike, delivering pamphlets and scurrying away safely from aggressive crowds of counter-protesters. In America, one of the founders of the American Equal Rights Association, Susan B. Anthony, was also an avid cyclist and believed wholeheartedly that the bicycle had a prominent role in the emancipation of women. If we were to fast-forward 150 years, what Rose Lamartine Yates or Susan B. Anthony would think of today’s present society? In so many ways it’s still a man’s world and the same is also true for our streets. In the UK in 2016, men cycled more than four times as many miles on average than women (National Travel Survey), and in London “regular cyclists are more likely to be men, white, working and non-disabled” according to research by Transport for London. Given that cycling has such wide-spread benefits, it’s disheartening that so many people lack access to cycling because of our conception of cycling and how we’ve designed our streets. 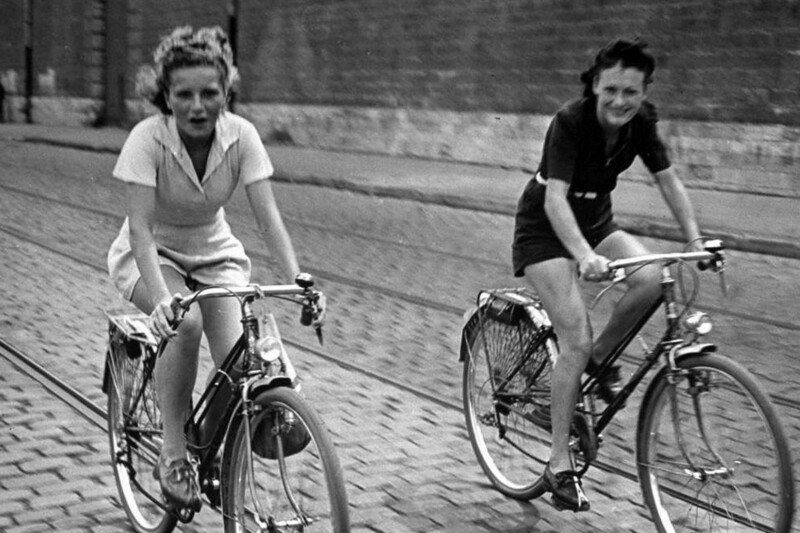 ↑ Two women riding their bicycles. France, 1940. City streets are a mirror for urban life: how we design our streets and who we prioritise in the process say a lot about our values as a society. To better understand how our streets affect society and play a crucial part in shaping who feels safe cycling, we spoke to two advocates of women’s cycling in the UK: Beth Barrett of Lady Pedals Manchester and Macarena Plaza Helguero an architect based in London. 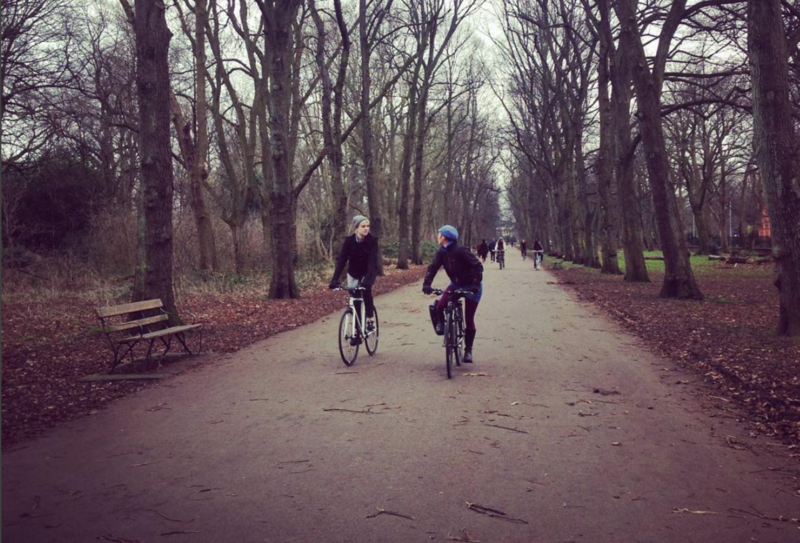 Both Beth and Macarena found themselves acquainted with cycling after their university years when they relied on cycling as a cheap, yet incredibly reliable mode of transportation. Macarena, who at the time was based in Lima, Peru began cycling because her city had poor public transport linkages and cycling was the fastest way to reach her office. 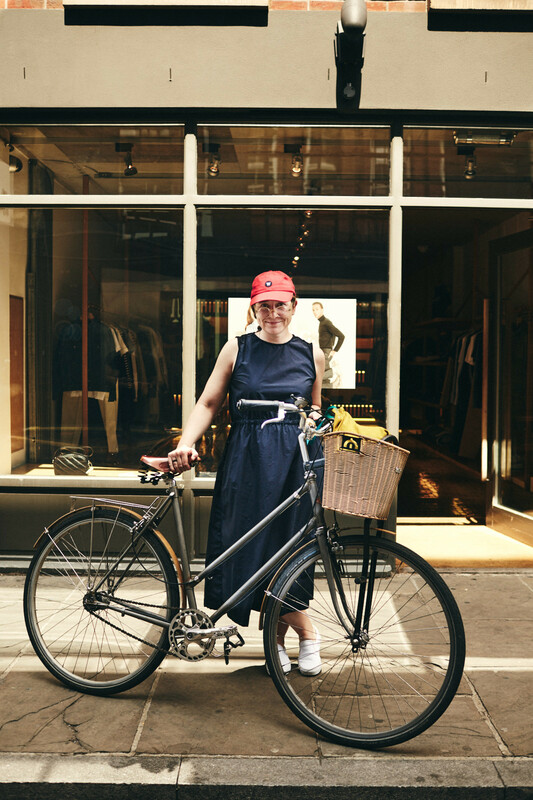 Meanwhile, Beth was based in London and began cycling almost as a fluke: when a friend asked to a borrow her untouched bike, Beth rode it into the office one day only to realise how much she “loved how exciting it was”. Surrounded with a plethora of transport options, Beth found herself cycling around the city because she didn’t have a lot of money at the time, and it “opened doors for her” bringing her to neighbourhoods previously unexplored. Despite the danger of cycling in Lima, Macarena committed to cycling because it gave her the opportunity “to decompress after a day of work”. She also found a sense of camaraderie and a community which encouraged her to keep cycling. She remembers times when drivers would be aggressive or catcall her while cycling, and other cyclists would come to her defense: “I didn’t know these people, but we were kind of the same group”. Macarena studies the streets as she pedals into work: “when I cycle to work and am waiting for a light to turn green, and I will sometimes count how many women compared to men” often finding she is the only woman in the bunch. Both women find it frustrating that whether in the media, in shops, or on city streets, cycling is seen as a man’s sport. ↑ Sophie and her bike. East London. 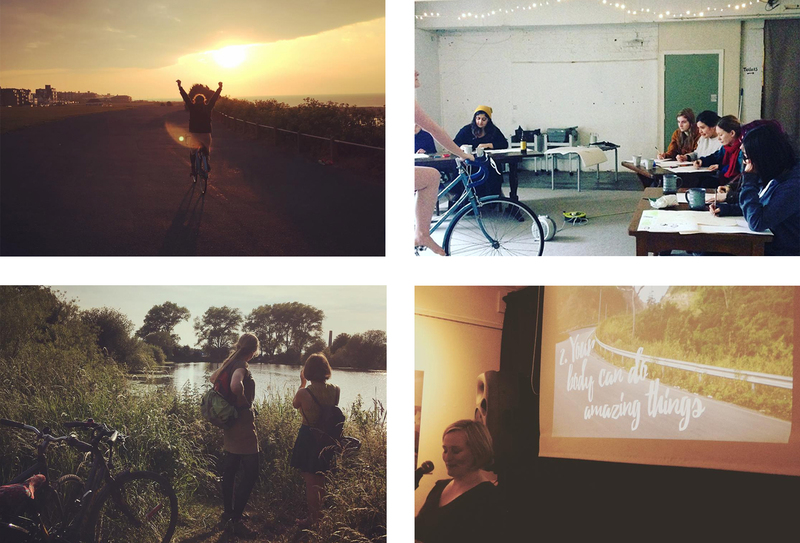 Lady Pedals Manchester has begun to lead women-only bike rides through British Cycling’s Breeze Programme, helping more women get on two wheels wheels through confidence-boosting rides and other activities like yoga for cyclists and bike maintenance for women. Unlike traditional cycle clubs which prioritise speed over inclusion, Breeze rides prioritise people and their experience. “Breeze is all about not leaving anyone behind - there’s often a coffee stop, there’s usually cake! We make it really inclusive,” said Beth. Beyond changing the social conception of cyclists, Beth and Macarena both believe city infrastructure also needs to change. “Women don’t feel safe cycling on roads,” Beth points out. Macarena strongly felt more cycle lanes were needed and that their design had to consider how to make less traditional cyclists feel more comfortable. “Think about paraplegic cyclists - their bikes are a bit wider, so cycle lanes need to be wider and adapt to that,” she articulates. ↑ Lady Pedal confidence-boosting session. Alexandra Park, Manchester. Both women also touch on the need for cycling education: for young women, drivers and existing cyclists. “It’s really important to educate people,” shared Macarena, “there is this constant fight between pedestrians, car and cyclists”. Beth expanded upon this by saying that “car drivers need to be more aware of how they can make cyclists feel - how unsafe they can make us feel”. Safe driving practices help give cyclists and pedestrians peace of mind when navigating city streets. Education and thoughtfully designed infrastructure can bring back the element of shared usage that streets were originally designed for. We can imagine a future where cyclists, vehicles and pedestrians move in harmony - without fear, resentment and importantly less casualties. But how are these changes made? “Get involved in public meetings, follow campaign groups,” urges Beth. Roadways are still dominated by the needs and travel patterns of men, and in order to change this we need women advocating for more inclusive infrastructure - not just for themselves, but also for cyclists young and old, able-bodied and not. With persistence and advocacy, we can make Ms. Anthony and Yates proud: proud of the strides women have made globally, proud of how we continue to make cities and their streets more welcoming for all. ↑ Lady Pedal ride. Dunham Massey, UK. To celebrate UK's Women's Festival of Cycling, we asked women who were on the move with their bikes around London what they love about urban cycling. Caro Pauleau. Urban Cycling Through a Lens. Through the lens of her camera, Caro Pauleau has captured the urban cycling scene like few others. We talked to her about the people behind her pictures and how the bike has changed her life.